George Edward Hare – 77, Truro/Lower Economy, passed away peacefully on Tuesday evening, December 4, 2018, at Vimy Court. Born in Truro, he was a son of the late Edward and Dorothy (Kirk) Hare. George graduated from Mount Allison University (B.Sc. ), University of Southern Illinois (Masters and PhD Pure Mathematics) and University of Florida (Post Doctorate). He went on to live and work in Toronto, holding executive level positions at some of Canada’s leading financial institutions. In retirement, George and his wife, Mary, enjoyed splitting their time between Toronto and their home in Lower Economy, until moving to Truro in 2016. George was passionate about his work, but in his spare time, he enjoyed collecting model trains, reading, walking and hiking. He leaves his devoted wife, Mary; children, Rebecca and David; son-in-law, David Zborovski; daughter-in-law, Danielle Sampson; sister, Barb (Hare) St. Laurent; grandchildren, Julia, Annabelle and Gregory. Special thanks are extended to Roger Hunter, Sharon Riley, Carol Doran, Anita Kelly and Barbara Macaloney who provided excellent homecare and allowed George to stay in his own home until the final weeks of his life. As well, we would like to thank the wonderful staff at Vimy Court for their care. Honouring George’s request, there will be no visitation or funeral service. A reception for family and friends will be held from 4-6 p.m., Tuesday, December 11, 2018, at 94 Smith Avenue, Truro; please join us. 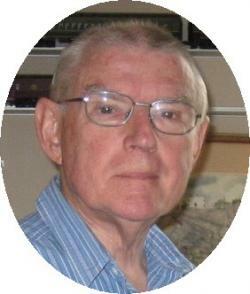 If so desired, donations in George’s memory to the Alzheimer Society of Nova Scotia are welcomed. Alternatively, we ask people to honour George with an act of kindness: call, visit or spend time with someone in his memory.